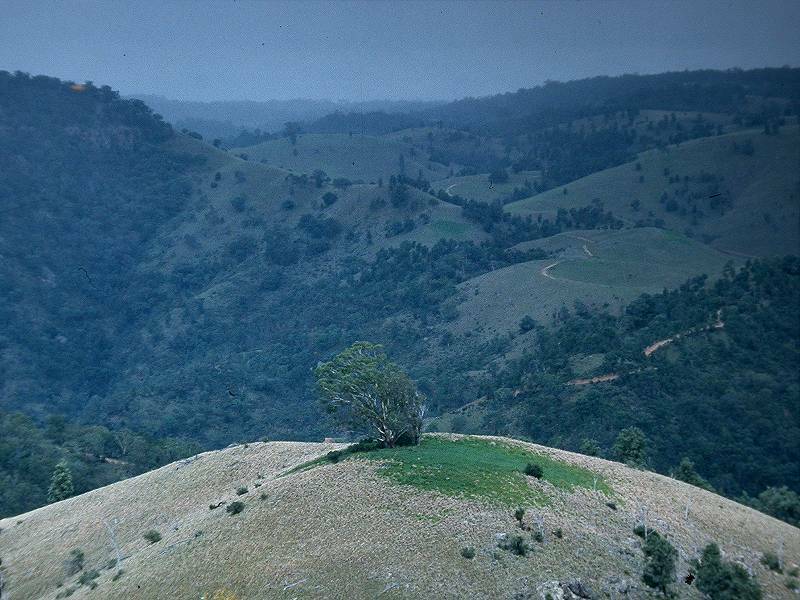 Image: the bush around Wombeyon from Cameron Rocks outlook. Wombeyan Caves are located in a 345 hectare reserve in the Southern Highlands of New South Wales. In the Wombeyan Sanctuary splendid variety of wildlife, wildflowers and native shrubs is to be seen. The limestone caves at Wombeyan were discovered in 1828 by a party that were in search of grazing land. Members of this party were the explorer John Oxley, John Macarthur, a pioneer of the Australian wool industry, and the N.S.W. Surveyor General. They started in Berrima and travelled from Mittagong to Wombeyan, about the same route the road takes nowaday. They camped on the fifth night near Victoria Arch. On the morning they found the Archway while looking for their straying horses. But the party did not enter any of the caves. The first man who entered the caves was a clergyman called Denning. He explored a section of the Fig Tree Cave. The first caretaker of the Wombeyan Caves was Charles Chalker, he was appointed by the Government. He discovered three of the main caves ( Wollondilly Cave, Kooringa Cave and Mulwaree Cave) and made major contributions developing the caves. The caves were visited using candlelight and magnesium. In the year 1928 the first caves were illuminated electrically. 1828 discovered by the party of the explorer John Oxley and John Macartur. 1865 Charles Chalker discovered three of the main caves: Wollondilly Cave, Kooringa Cave and Mulwaree Cave. Jenolan Caves, official website of the four main New South Wales cave areas. In 1982 the Sydney Speleological Society published the first Wombeyan Caves. Since then the number of caves has increased from 233 to over 500. The present tome was published to coincide with the Society's 50th Anniversary. This new edition is fully revised and gives a good historical account of the caves.